Yet again Monaco shows its cultural and artistic support. The program of the Festival Printemps des Arts 2017 is now out. This will be the 33rd edition of this event, which goes to show that all that is done in Monaco, is well done, is sustainable and will grow and last. Princess Caroline (her commitment to philanthropy and arts, Princess Caroline was named a UNESCO Goodwill Ambassador on 2 December 2003) will be presiding the festival, where much of the talent promoted is the younger generation. There will be 8 themes around “The Revolutionary Berlioz”, “Renaissance Music”, “Piano Concept”, “Congo Happenings”, “Monaco Music Forum”, “A Surprise trip to Monaco”, “Young Talents” and “Music School Days”. This festival is a great one with several possibilities that will accommodate the taste of a very large public, going from the Classics (with Berlioz and the Renaissance), workshops, masterclasses, expositions, new introductions and so much more. 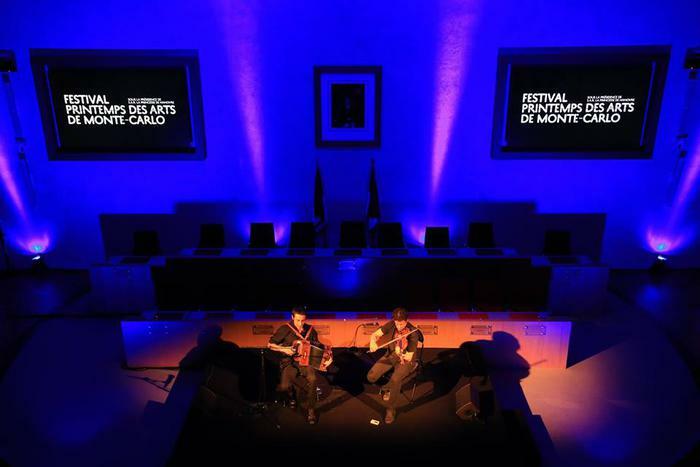 The Monaco Music Forum will be the occasion to discover new composers and compositions. Following the discovery of the Congolese group 4 years ago, Kimbanguiste de Kinshasa, they will be delighting our ears with a concert with the Monte-Carlo Philharmonic Orchestra, on the 1st of April. The Young Talent, will be the window and opportunity for talented concertists to be discovered and recognised as such. Marc Monnet who is the artistic director of the festival states the importance of bringing together the different schools into the public, thus creating an audience as well for the future musical generations. A clever symbiosis between the past and the future, the Spring Arts Festival is going to be creating its own label with the vision of creating 4CD album. “Excellence and openness are not incompatible if the convictions that are brought are high. These convictions deserve repeating, over the years. Aristotle said nothing other than “Excellence is an art that is only achieved by constant exercise” and thus we can over the years go further” Concluded Princess Caroline in writing.